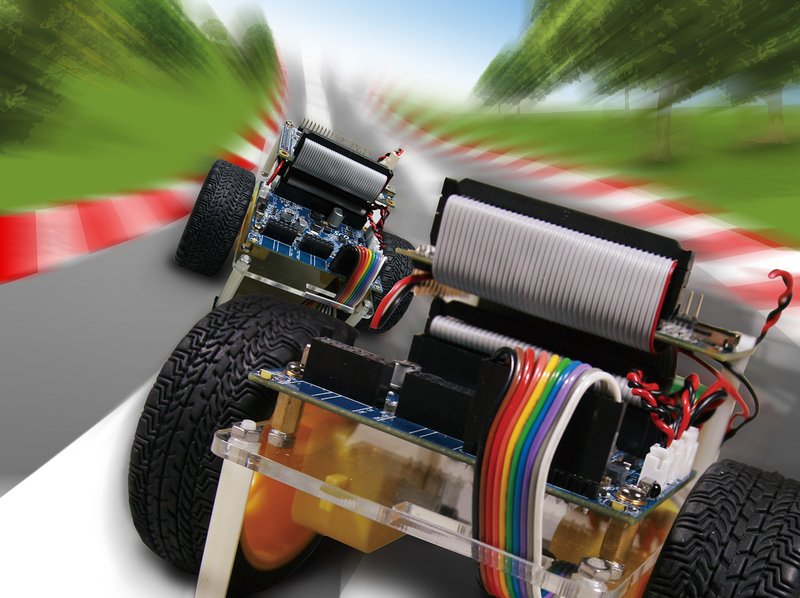 The A-Cute Car is an FPGA-based three-wheeled robotic car kit. This car can provide higher operation performance than the MCU based robotic car, because the FPGA provides more powerful computing power than the MCU. The car is driven by two DC motors. It can move in any direction, by changing the speed and direction of each wheel by changing the speed and direction of the two DC motors. The car is equipped with a sensor board which contains seven line tracking sensors by implementing the line following function. The car also contains a power convert system so the car can be driven by 3.3V~12V battery pack. The car contains an IR receiver so that the car can be remotely controlled with the IR controller included in the car kit. Buzzers and lamps are equipped just for fun. The car contains a 2x20 GPIO expansion header and a 2x6 TMD expansion header. The 2x6 TMD expansion header can be expanded with the Terasic Bluetooth module BTS-TMD, so the car can be remotely controlled with a Bluetooth device, e.g. Android Cell Phone. Besides the hardware, the car kit also includes open source examples. Based on the example codes, developers can quickly implement their application designs.